The first thing that comes to mind about Bugera is an attractive price. However, we can read a lot of opposite reviews about its products. 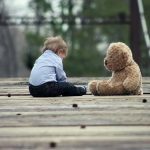 While some reviewers were impressed with its value for the money, others consider them unreliable toys, which definitely aren’t worth buying, despite the cheap price. So, I’ve decided to check one of these amps by myself. First impressions about this amp are quite good. It looks pretty solid and well-built. I presume that the first thing everyone notices is the size. This combo is pretty big. For comparison, it features a similar size to a typical 50W Mashall combo, but keep in mind that this one is good for “only” 22 Watts. The amp is also quite heavy. The overall quality looks very good, as I already mentioned, but the thing that impresses me most is the final touch. Every join looks right, while a two-color soft tolex looks very upscale, especially in combination with a shiny grill cloth and nice moldings at front. All in all, this amp looks amazing, given the price tag. One look at the V22 and you can easily realize that this is a pretty versatile amp, with many features. The control panel is pretty transparent, despite plenty of pots, switches, and jacks. Interestingly, there are two guitar ins – Normal and Bright. According to the manufacturer, the Bright it is best to be used with humbuckers, but I found it pretty amazing even with an SSS Strat, as such combination works perfectly for Mike Oldfield-like tones. Pots are organized pretty much the same as on Peavey Classic. This is a two-channel amp and the clean channel has its own Volume control, while Drive channel features Volume and Gain controls. Both channels use the same EQ, with typical Bass, Middle, and Treble pots, as well as Reverb. Interestingly, there is a channel-switch button, while the reverb can be turned on and off only via footswitch, which, by the way, comes standard. Another interesting button you’ll find is Boost and this is probably my biggest complaint about the amp controls. You can switch channels and turn reverb on with the footswitch, but not the boost, which makes it pretty much useless. The boost by itself works okay, so once the warranty expires, find someone to make a special footswitch for this control. From the back side, you will find pretty much everything you need. The amp features a typical FX Loop In and Out, as well as 4/8/16 Ohm selector and two speaker connectors. Finally, there is a mode switch, so you can choose between pentode and triode modes. Although Drive channel works pretty well, Clean is my absolute favorite. After a couple of tones, you will easily realize that this is a genuine tube amp, which has a lot of offer. It works pretty well with humbuckers, but single coils are definitely its zone of comfort. This is a vintage amp, so you can expect plenty of brightness, even if you use Normal guitar in. Pots work pretty well and it is quite easy to get great tones. Just suppress Bass and add a little bit of Reverb and you’ll get typical Clapton-like tones with ease. If you use Bright in and turn on the Boost switch, you can count on spectacularly-bright, Oldfield-like tones. It is important that the clean tone won’t get dirty, even at higher volume, Another important note is that this channel works pretty good in combination with drive pedals, particularly vintage TubeScreamer-like ones. First of all, keep in mind that this is a vintage amp. So, if you are a metalhead, you shouldn’t consider this amp at all. 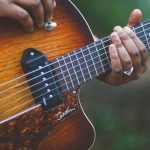 It is designed for old-school, bluesy and classic rock tones and it works pretty well in these areas. The tone is pretty much “Plexy-like”, though the amp definitely has a dose of its character. The drive is fat but keeps all the definition, so you can easily get AC/DC-like tones. With a little help of some good overdrive pedal, you can even get some hard rock and even old-school metal tones. However, it becomes a little bit generic once you push the gain all-away up, but that’s a common thing even among two-times more expensive amps. This model significantly reduces the amp’s output, around 40%. Therefore, you can count on around 13 Watts. Things are still pretty loud, but the color changes drastically. You will notice much headroom and compression. The tone is hard to describe but has some similarities with typical Vox/Brian May sound. In any case, pentode mode sounds much better and it is the main reason why you should purchase this amp. Finally, I should say a few words about FX loop, though I haven’t found anything particular about it to be mentioned. It does the job well and the general impression is that this amp stands effects pretty good, not just in terms of modulations and other effects that go through the FX loop, but in terms of the overdrive as well. As its name says, Bugera V22 is good for about 22 Watts. However, my impression is that the amp is much louder than you would usually expect from an amp in such power range. In any case, you definitely won’t struggle with your drummer and other band members. It is perfectly loud for rehearsals and smaller venues. Things are even better once you plug it into a cabinet. A good thing is that both head and combo layouts are in the offer, though combo definitely seems more convenient in this case. If you need something for bigger venues, check the bigger Bugera V55 as well. 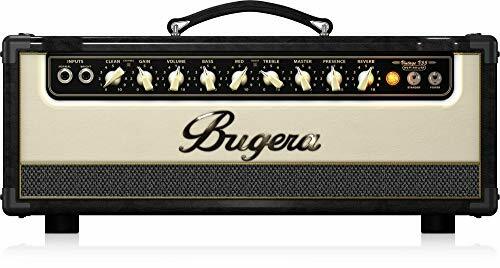 The Bugera V22 is much cheaper than any other amp in the class, so you probably wonder what’s wrong with it. The main reason for such an affordable price is not only cheap labor in China but also the use of lower-quality valves and other electronic components. Potentially, that could mean some reliability issues, but this amp in most cases works pretty well. All in all, change the valves and consider replacing some other electronic components once the warranty expires. According to my experience, this amp is definitely worth buying. Despite potential reliability issues, this is still by far the most affordable amp in the class. On the other side, the number of features and overall sound quality are simply amazing. The V22 is a versatile amp which can provide you with a wide palette of good sounds. Also, it stands all kinds of effects pretty well, while it is loud to cover pretty much any smaller venue. All in all, this amp delivers plenty of value for the money, more than any other competitor. So, I would highly recommend this amp to everyone who prefers blues, rock, and other vintage tones.